View from the northern boundary of the plaza. Construction is underway at the future home of Apple's expanded Fifth Avenue flagship store. 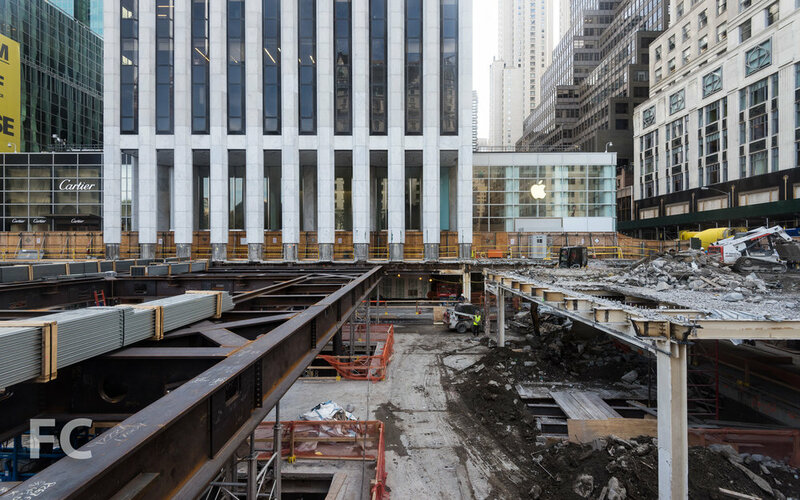 Located underneath the plaza of the General Motors Building, Foster + Partners renovation will more than double the store's previous size, expanding from 32,000-square-feet to 77,000-square-feet. The iconic glass cube has been dismantled while construction is ongoing but will be a part of the completed renovation. The cube has been previously redesigned to use less glass panels than the original, so there is a possibility that it will return in a modified form. A November 2018 completion date is currently expected for the reopening of the store. View to the east from the northwest corner of the plaza. View east from the western boundary of the plaza. 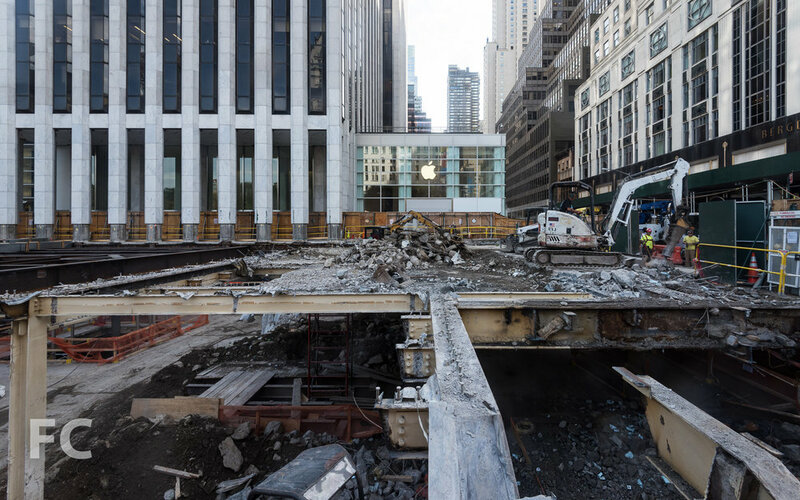 Architect: Foster + Partners; Client: Apple; Program: Retail; Location: Midtown, New York, NY; Completion: 2018.